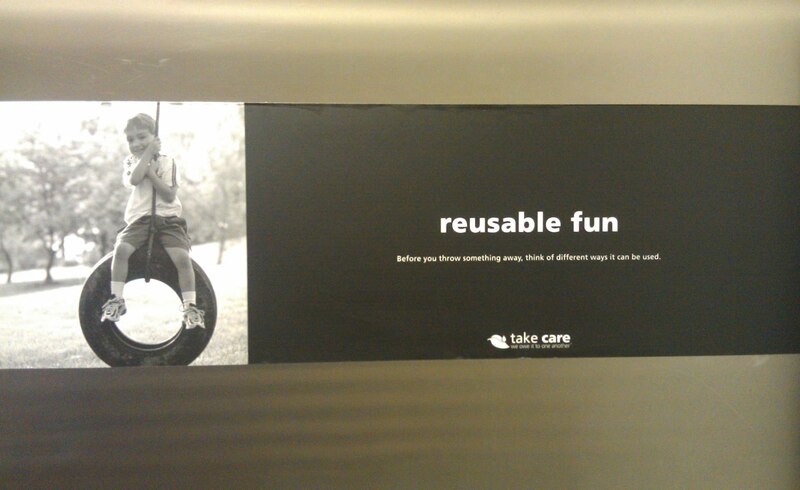 The sign reads, "Reusable Fun. Before you throw something away, think of different ways it can be used." We wondered if this message may be referring to the kid.